The Kenzie Personalised Tassel necklaces have a beautiful sterling silver tassel in a lovely selection of colours on a delicate sterling silver trace chain. Silver, neon coral, buff pink, turquoise, coral, lemon sherbet, teal, khaki, ivory, fuchsia, latte, aubergine and lilac. 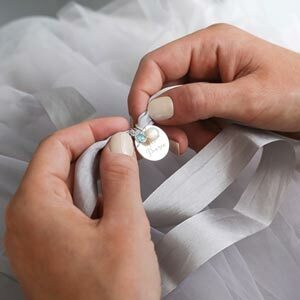 The tassels are made from sterling silver and silk. 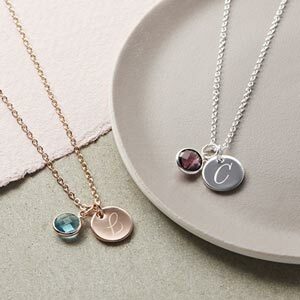 You can add an engraved charm to your necklace for the perfect gift. Gorgeous shimmering gift cards with a beautiful ribbon gift box for the perfect presentation for your necklace.